The Ford Transit Custom is the UK's best-selling commercial vehicle, and it's not hard to see why. The van excels in every single aspect van buyers look for, like its comfortable cab, practical loadspace, reliability, and renowned aftersales service from the Transit Centre network. Combined with the significant dealer discount, the Ford Transit Custom is an obvious choice for medium-van buyers. Like most vehicles in this segment, the Ford Transit Custom comes with a choice of two load lengths (2,555mm and 2,922mm), and two roof heights (1,406mm and 1,778mm). Given the standard load width of 1,775mm (1,390mm between the wheelarches), this results in load volumes of between 5.4 and 7.7 cubic metres. In terms of weights, there are five nominal gross vehicle weights (GVWs), ranging from 2.5t (250) to 3.4t (340) – the heaviest in the segment. Payloads vary from 674kg on the 250 model, to 1,474kg on the 340, while towing capacities are rated at between 2.3t and 2.8t, which, again, is the best-in-class. Standard load area features across the range include a nearside side loading door, impressive and easily-cleanable rubber flooring, full-height side wall protection, and a full-height steel bulkhead with load-through facility (which provides up to 500mm extra load length). 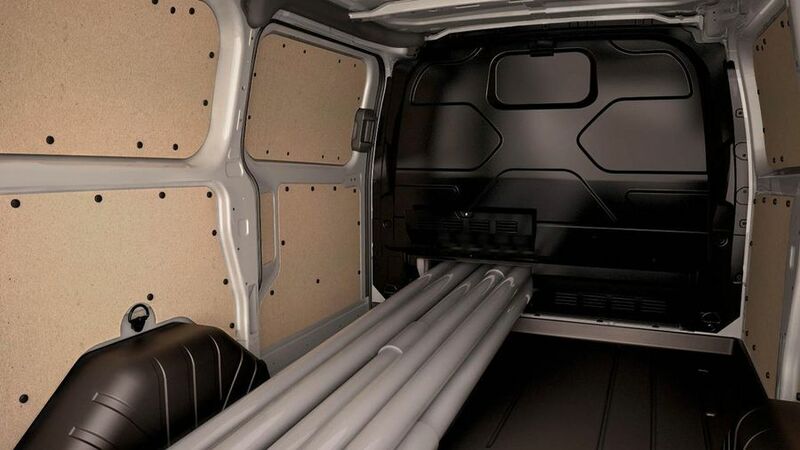 The interior of the Ford Transit Custom is the most car-like of any medium van, which can be seen as both a benefit and drawback. The seating position, for example, is very low which restricts the driver's vision. It's also not quite as productive as other medium vans, with only a couple of useful storage compartments dotted around the cab, including a small glove box. However, in terms of styling, the Transit Custom sits at the top of its class. The seats are comfortable, although the middle seat is small and there's little leg-room for passengers, while the dashboard and instrument panel are both attractive and functional, with blue backdrop lights on the display, trendy buttons and controls pulled from the car models, and steering-wheel mounted controls across the range. Priced between £20,045 and £29,095 plus VAT, the Ford Transit Custom is fairly hefty if the price list is anything to go by, although dealers tend to offer significant discount of up to 35% on stock models. The Ford Transit Custom is backed by a three-year/100,000 mile warranty from the admired 105-strong Transit Centre network, which offers flexible opening hours. Hourly servicing rates are relatively low and the network is well-stocked with replacement parts and courtesy vans. Service intervals are set at a lengthy 30,000 miles or two years, although the 21-litre AdBlue tank (introduced in late 2016 on 2.0-litre models) will need topping up approximately every 6,000 miles. Fuel economy ranges from 44.1mpg to 46.3mpg on the combined cycle between the power ratings, which is considered poor by Euro-6 standards. The Ford Transit Custom inherited many of its components from its predecessor, the Ford Transit Mark V, which was renowned for its build quality. In its short lifetime, the Ford Transit Custom has topped a number of industry polls as the most reliable light commercial vehicles. The most common faults are rust (although this is no worse than other vans in the segment), the wearing of the top hinge on the driver’s door which causes displacement, and the relatively short battery life. Whether its out on the open motorway or creeping along a bustling high street, the Ford Transit Custom is well respected. The UK-developed 2.0TDCi Panther engine replaced the long-serving 2.2TDCi 'Duratorq' unit in late 2016 to meet Euro-6, and comes with a choice of three power ratings: 105PS/360Nm, 130PS/385Nm and 170PS/405Nm. Despite the peak torque being available from less than 1,300rpm, the entry-level engine struggles under heavier loads, and quite a lot of acceleration was needed to get off the mark. The mid-level engine (130PS/385Nm) is enough to meet the vast majority of operator requirements, while the flagship output (170PS/405Nm) provides serious power, although we often found ourselves wheel-spinning when setting off. The low centre of gravity and seating position provides a great driving experience, especially on winding roads. However, the Transit Custom isn't quite as refined as some of its competitors, as both road and engine noise is noticeably higher. Ford offers a respectable amount of safety equipment as standard on the Transit Custom, although not quite to the levels of the Mercedes-Benz Vito. Standard features include all the basics like a driver’s airbag, electronic stability control (ESC), emergency brake assist (EBA), and electronic brakeforce distribution (EBD), however Ford has also included hill start assist (HSA), side wind stabilisation, and emergency brake warning, which automatically activates the hazard warning lights during heavy braking to alert the vehicles behind. Also standard on all trim-levels is the trip computer, two 12v sockets, an eight-way adjustable driver's seat with reach-and-rake adjustable steering wheel, electric front windows and a radio with Bluetooth. 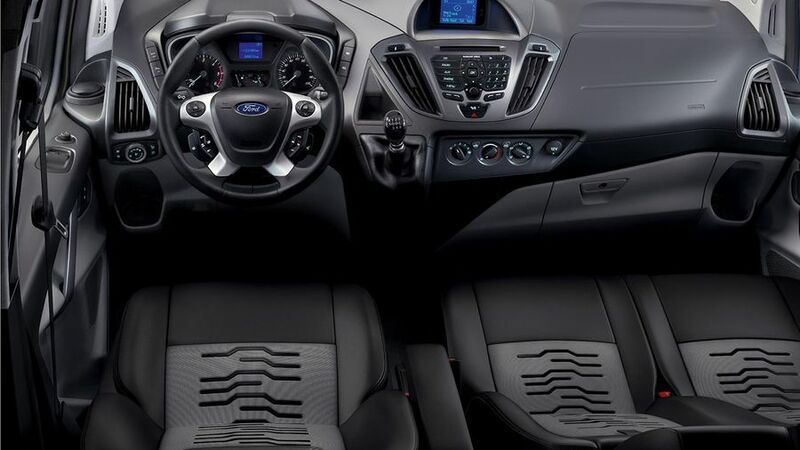 Trend models add cruise-control, reversing sensors, heated windscreen and Ford Sync with voice control, AppLink, a 4-inch display and USB connectivity. Moving up to the Limited spec, customers also benefit from a DAB radio, heated seats and air-conditioning while flagship Sport models receive partial leather seat trims, a rear-view camera and lane keeping alert. The Ford Transit Custom is the UK's best-selling commercial vehicle, and it’s not hard to see why. The van excels in every single aspect van buyers look for, like its comfortable cab, practical loadspace, reliability and renowned aftersales service from the Transit Centre network. 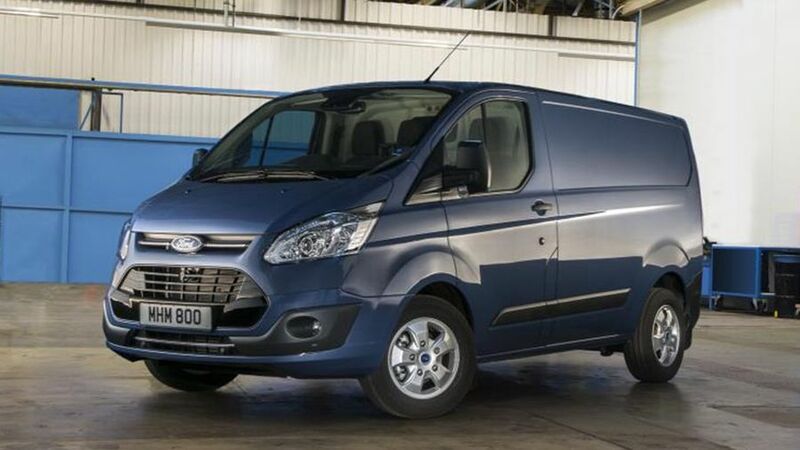 Combined with the significant dealer discount, the Ford Transit Custom is an obvious choice for medium-van buyers.